I'm seeing time and time again, unrealistic player ratings after heavy defeats. This applies to both my team's and the team's managed by the AI. Take this match as an example. I lose 3-0. The opposition absolutely plays me off the park. I couldn't get anywhere near them. You then look at the player ratings and wonder how those high ratings correspond to such a heavy defeat. This wasn't a case of me playing well but conceding three goals. I was hammered 3-0! Apart from two players, my whole team got at least 7/10. One of my defenders got an 8/10. It just doesn't make sense. I recall this being an issue in previous versions of FMM. 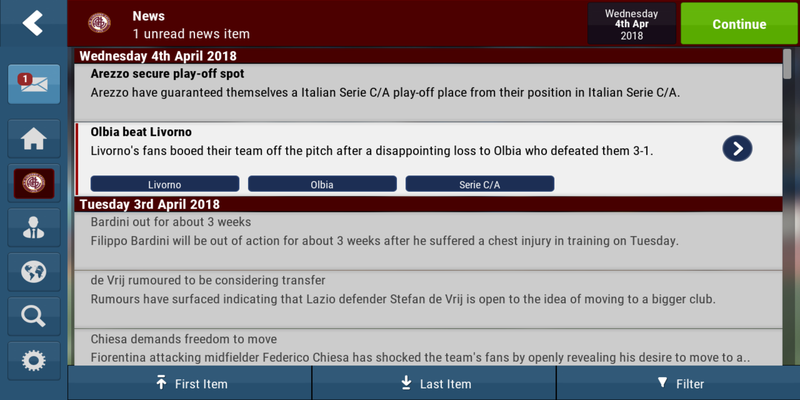 It was certainly an issue in FMM 2017. I found it so frustrating that it became one of the reasons why I stopped playing. P.S. I have another thread open about red cards and player ratings but felt this was a separate issue. Here's another good example. This time I lose 3-1. Again the opposition plays me off the park. I managed to pull a goal back but I was just simply well-beaten. I'm then told the fans booed my team off the pitch (that's the first time I've seen that news item). But the match ratings suggest something else completely. Note how all my defensive players and goalkeeper come out well with 7/10s and 8/10. I should be seeing 5/10s and 4/10s. 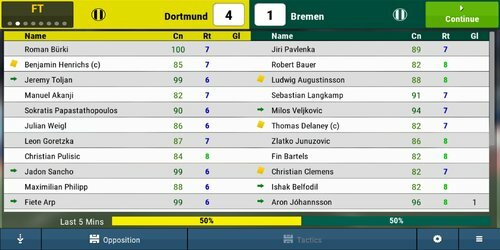 I remember there was an old FMM (possibly 2015) where the match ratings were much more accurate. You'd see 4/10s and 5/10s for players who did not perform well. You rarely see that in FM2018. Red cards don't affect this and neither do individual mistakes i.e. when a player is solely responsible for conceding a goal. If my team concedes three goals and loses the match, they should not be getting 7/10s and 8/10s. A nine goal bonanza yet according to the match ratings, both defences have performed well and my goalkeeper (who had a right shocker) manages a 6/10 when he should have got a much lower rating. Hi Dean, this has been logged and is currently being looked at, thanks. Not sure if the update was supposed to address this but I'm still seeing plenty of examples where inaccurate match ratings occur. 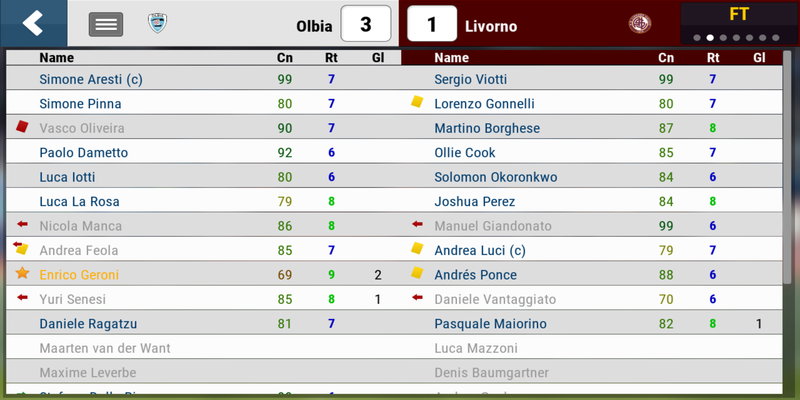 Playing as Juventus; I was 4-1 up and Genoa fought back to 4-3. During the match my keeper was rated as a 4/10 but at the final whistle, he was awarded a 7/10. Hi @James Akintayo. I know you guys don't always have time to reply to posts and keep us updated on things but I wondered whether you could give me an update on this? I noticed this bug wasn't covered in the latest update and I just had a game where my opponents raced into a 3-1 lead (two goal scored in two minutes) which rightly saw most of my player match ratings drop to 4s and 5s. 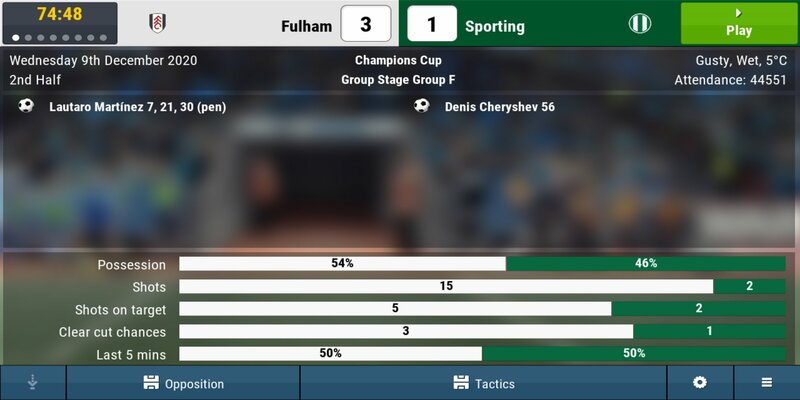 My biggest culprit was my right-back who dropped to a 4/10 as he was responsible for one of the goals conceded. However, very annoyingly, only 6 minutes later it was half-time and when I looked at my right-back's rating for the first half, his 4/10 went straight up to a 7/10. Tweaks have been made towards this however this is still an open issue that is being looked at. Were the tweaks released in the recent 9.2 update or are they to be released in a future update? Yes, some match rating tweaks when into the 9.2 update, however as this is still under review the issue you described has not been fully resolved. Thanks for the reply. I appreciate the issue is still under review and so is not fully resolved but despite the tweaks that have been made, the match ratings are still very biased towards positive performances. My defender, Davinson Sanchez, came off the bench at 0-0. He gave the ball away in his own 18 yard box, which resulted in a goal. He played the rest of the match with a rating of 4/10 and then at the final whistle (with the game ending 1-0), was suddenly awarded a 7/10! Is this likely to be fixed in a subsequent update? This bug is really spoiling the game for me. It's infuriating. So much so that I've stopped playing FMM.